Desk chair features plush, memory foam to keep you comfortable all day. The adjustable lumbar support allows you to always find a comfortable position. Control paddles are located on the Seat, making Seat adjustments easier. This desk Chair's tilt Recline allows for customized Seat Back comfort. Computer desk chair with Height adjustable, padded arms. 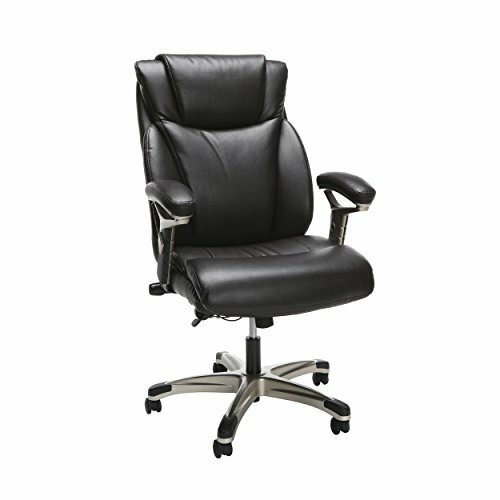 Ergonomic Executive Bonded Leather Office Chair Brown - Ofm Gender: Unisex.